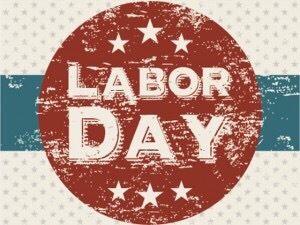 We just wanted to alert all of our loyal customers that we are closed today, Labor Day, so that our team get time off to enjoy one last picnic before the football busy business season starts up. Please enjoy your day, and please be safe. It's Wednesday 12:36 PM — BOOYAH...We're open!